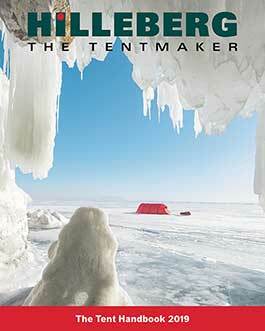 We are very happy that for the third straight year Hilleberg tents top OutdoorGearLab’s review of 23 4-season tents. This year the Jannu was awarded Editors’ Choice and the Tarra, in second place, was named Top Pick. The Nammatj followed as a very close third. "OutdoorGearLab highly recommends the Hilleberg Jannu for mountaineering and alpine climbing at high altitudes. The Jannu's setup is easier than nearly any dome tent with double walls that we have tested. We especially appreciated this as the weather conditions got bad. It is a cure-all for alpine climbing and mountaineering in the worst of conditions." "The Hilleberg Tarra is the toughest two person tent we have reviewed, ever. OutdoorGearLab recommends the Tarra for base camping in terrain that is exposed or for longer expeditions when weather conditions are expected to be the worst."